Echo Lake Lumber Rebuilt V 1. & 2. 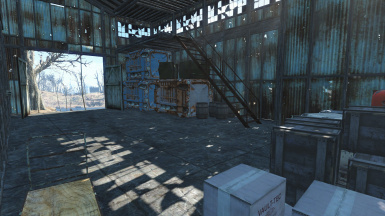 Fallout 4 - Parkour World Extended Many elements were taken from here, a must have! Firebase Covenant Some furniture objects. Longfellow's Cabin Little Village This blueprint is an old one. 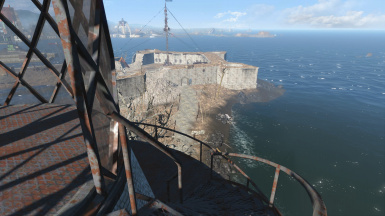 Without this the lighthouse will disappear, same for the radio-tower. 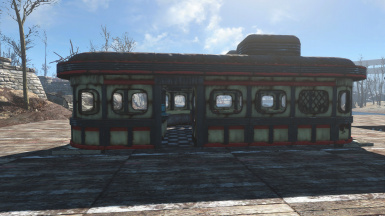 Vault 88 Proper Vault Exits Blueprint Important! A lot of the furniture and lights are coming from Homemaker. Not importing these objects will require you to extensivly fix the import. Please ask before you use any of my code or models in a published mod of your own. That said, feel free to rip apart the code and meshes as you see fit to try and figure out how things work if you want, and feel free to send a PM. Added v1.54 Hotfix to Bethesda Archive because people were not downloading the Hotfix. There is no 1.55 because there were Nexus upload and file management issues. Added Homemaker Holotape. 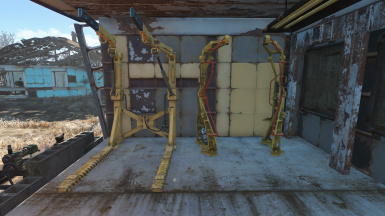 If upgrading you can craft one at a Chem Station. 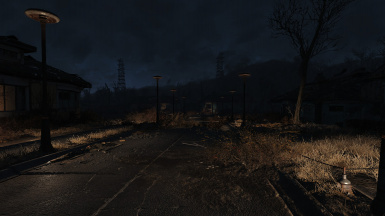 New Street Lights menu may not have been included with 1.52.1 or 1.52.2. Some items were removed by Nova and are now in the "Other Version" as an optional file. Streetlights Use Passive Power will install for either version again. Added Lights that were reported missing from the some duplicates removed version. Changed file path to the Empty planter. 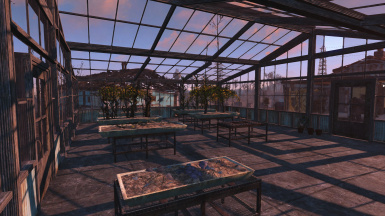 Now snaps to the Greenhouse Tables as intended. Added Multi Menu support. See description page. Renamed menu to Power so people can more easily find Lights and Generators. Main version removes some duplicate items. Optional version offered. See Description page. Homemaker now uses a papyrus script to add one single menu. Adds navmeshing by Ethreon and updated meshes by ccmads. For details on the changes see the ccmads changelog.txt provided with the download. Retains menu structure from previous versions in addition to changes from 1.38. Retains menu structure from previous versions in addition to changes from 1.37. 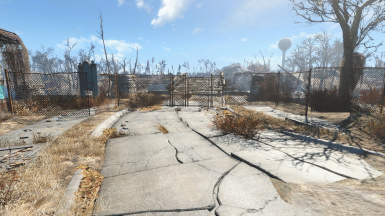 Preemptive update for Nuka-World. Use with Fallout 4 1.7.9 or greater. Adds the Lights menu Fix. Use with Fallout 4 1.6.3 to 1.6.9. 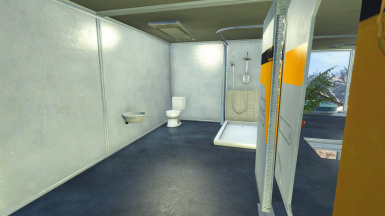 Quickfix for the Vault-Tec DLC. Small fix for compatibility for WW. 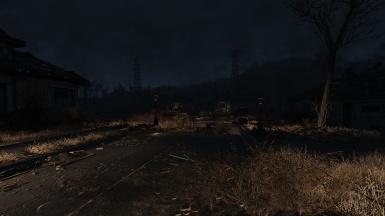 -Complete recode of the mod using only FO4Edit. Changed mod from ESP to ESM. Updates from 1.11 or prior require a clean save. -Added over 30 new lights to the game, ranging from Streetlights to table lamps to ceiling lights. Some issues with light models and light placement. 1.55.1 for PC is out and compatible with Fallout 4 1.7.9 or greater. Will not be made available for console. Upgrading from 1.50 or greater to version 1.54 or greater: Leave 1.50 or greater installed and craft an uninstall chem. After using the chem make a new save game. Uninstall your previous version then install 1.55.1. Use the new Homemaker Holotape to uninstall or restore the menus to fit your personal preference. 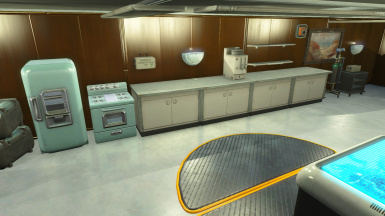 If you used Homemaker 1.50 or greater you may need to craft the Holotape at a chem station. Nova has taken some time to provide an update for Homemaker. Her two goals were to remove some of the duplicate items now found in the vanilla menus and add a scripted menu. Development of this mod has not stopped nor has another author taken over development of Homemaker. Homemaker will receive updates as time permits which may be very infrequent. DarthWayne's scripts were used to add a scripted menu. The addition of the scripted menu means there is now one Homemaker menu and no vanilla menus are altered. If you use any old files and patches they are no longer needed and will most likely cause crashes and menu conflicts. Only install what is provided with 1.55.1. Nova removed some of the redundant items and other users like euph suggested others to remove. Two versions are offered. The default version has some redundant items removed. This version no longer needs some of the enablers and disablers. 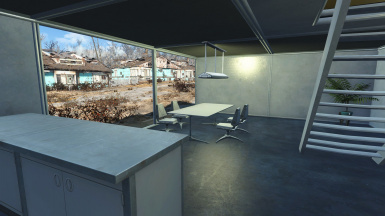 It will still use the Institute, Street Lights, and Bunker patches. Nothing else will install with NMM even if checked. There is no exact list of items removed. The complete version doesn't have anything removed because most of them use Nova's meshes with her snap points. This version still uses all the patches but only install the versions provided with 1.55.1. No SKE/SKI patches are required and should not be used. I would like to thank Ethreon and ccmads for their work on previous versions providing navmesh and file updates. If an item cannot have a navmesh then it requires a collision mesh and those are not added. Do not ask if items have a navmesh because there are thousands of them. Place the item and see how the NPC interacts with it. With the exception of the Change Log at the bottom of the description page, the description page is currently as Nova left it. On occasion, minor changes may be made. Other then that the description page has not been updated since version 1.33 and is not maintained. 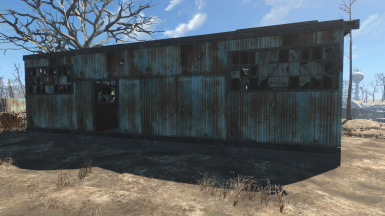 Ever feel your settlements were a bit "lacking?" Want something to help spice up your shack? Homemaker is here to help! Homemaker is a mod that greatly expands on the vanilla crafting system for settlements, and adds over 1000 new, fully-balanced objects to craft, ranging from cars, to refrigerators to working street lights and everywhere in between! 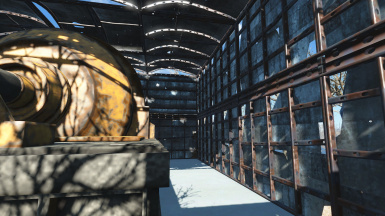 The mod also features a new Institute build set, with placeable snapping walls, floors, stairways and more! Whether you're a mad scientist, longing for the good ol' days, just trying to scratch out a new living in the wastes, or a sadistic raider, Homemaker has something for you! Update News: 1.33 is mostly a bugfix release which will hopefully improve usability of the mod. 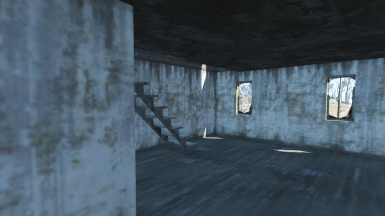 Items of note were some re-models of several problematic meshes, such as the greenhouse roofs, vault catwalk stairs and the brick building stairs, so that they are more easily placeable and in the case of the stairs, have proper navmeshing. 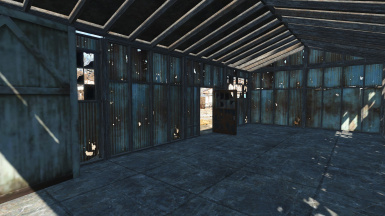 This may cause them to move, however, and you will need to replace (store/scrap) the greenhouse roofs to avoid invisible walls. I also tweaked the multi-story walls a bit , fixed a couple missing properties, and added a few items here and there. You can see more info on the changelog here. I did manage to fit another build set in, however! Some of you may recognize it from a previous addon that was floating around, but the set incorporates bits of the vanilla retaining wall set with the addition of some custom meshes by Jayrun! It's currently split between the Fences/Concrete Fences and Landscaping/Paths categories for the walls and floors respectively. See the pictures for more info, and see below for more info on the much larger 1.32 update. 1.32 is an update focused on bringing the mod up to a consistent, high-quality standard. Because of this, the focus has been primarily on fleshing out and developing items already added by the mod. To that end, I went through every single item and recipe in the game, added missing properties, adjusted recipes, icons and place/pickup sounds, and tried to make as many things as user friendly as possible. A full changelog can be found here. This update also adds a patch that fully ports the mod over to use the SK resource. (SK v0.8 is no longer available) Note that this is a patch so you will still need the full Homemaker.esm file, and it is recommended you delete the patches previously added by the mod. Fences and walls received a lot of attention this update. 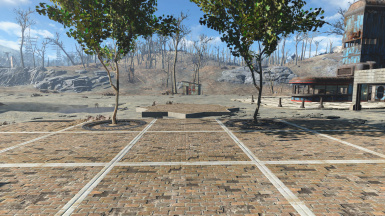 I added snap points to all the mod-added chainlink fences, Junk Fences, and wrought-iron fences, as well as to the BoS Airport barriers and walkways. 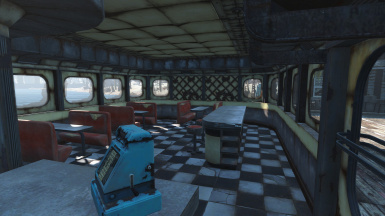 I also added snap points to the shop and diner counters added by the mod, which fit well together. 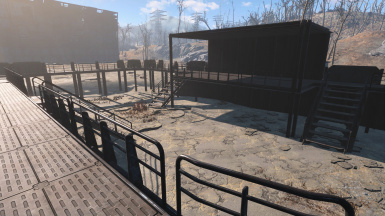 Navmeshing was also looked at, with many fixes being tried for it, namely for the vault catwalk stairs, the the aforementioned BoS barriers, and several other assorted pieces from various build sets. It's mostly hit and miss at this point, and I've noticed some NPC's will use it fine for a second, then suddenly forget how to walk up stairs and immediately walk around it. A true fix will have to wait for the GECK. As part of the general polish of this release I also examined the majority of the build sets in the game. The Brick building set was completely redone, making it much more feasible to actually build buildings with. I also added several new pieces to it, such as various types of roof pieces, corner doorways, and stairs with railings. Also expanded upon was the warehouse building set, which featured a near re-do of most of the sets snap points, as well as a the addition of another variation of the set, featuring much, much taller walls (see the screenshots for examples). 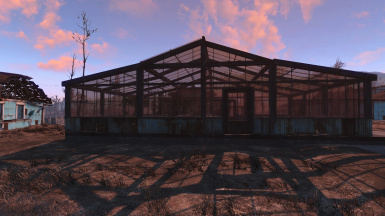 The greenhouse set was expanded as well, with unbroken glass versions of most of the set being added. 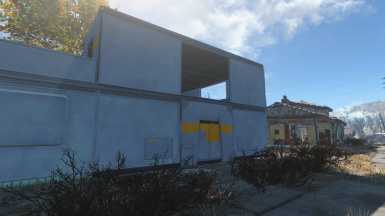 The Institute set received by far the most polish, with window walls being re-done using custom models, half balcony railings added, wonky textures being changed and more. Another structural bit of note is that all multi-story walls were also changed to use new custom modeled spacers, which not only look much better but lose that awful flickering. Bounds were also changed for most of the sets to help them snap together much easier, especially with corners. Lastly, even though the focus was on polish, I still managed to add a good bit of new material, including a fully navmeshed snappable Diner set! This can be seen in the pictures above, and works very well together. Other additions of note are a variety of new plants, including some pre-war grass (hopefully I'll be able to add more grass in the future), several pre-war items I missed, trash cans, arcade machines, a new prefab building, and a custom-modeled interior doorway for the wood shack set, which is also navmeshed. Work on the next update will proceed in the coming week or so, so stay tuned! 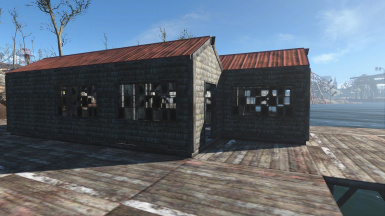 7 New Build Sets - Urban Brick Buildings, Coastal Pier Shacks, Institute Houses Greenhouses, Bunkers, Diners and Warehouses! All sets are as navmeshed as I could possibly make them and should work with NPC's , with the exception of a couple Bunker doors. The brick building set has some known issues, all of which are marked in the items description, but it should be fixed next release. 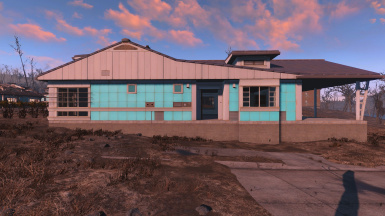 Large prefab buildings, such as Covenant Houses, Radio Towers, and lighthouses, to help give a bit more flavor to your settlements! An overhaul of many of the vanilla categories to make many objects easier to find. The category imprint of this mod is much lighter now. 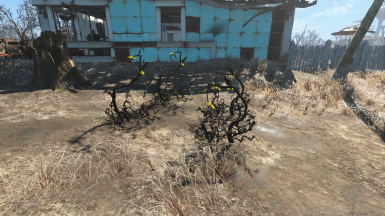 New farmable crops - Silt Beans and Tarberries, and working planters like the kind found at Greygarden or Vault 81. 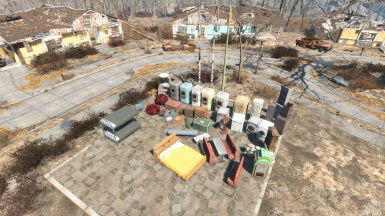 New Beds, Chairs, Toilets, Showers, Counters and other household objects, from both pre- and post-war! 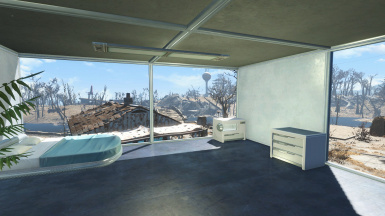 The beds also all count to your settlements bed total, and yes, bunk beds and double beds count as two separate beds. Tons of new usable lights ranging from candles, table lamps, fluorescent lights, fire barrels, lanterns, and even working streetlights! All electric lights use passive power like the other non-connectable vanilla lights. 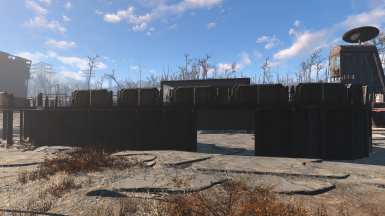 Tons of new fences and misc barriers that can be used in your settlements, including chainlink fences, covenant walls, BoS style military barriers, Gunner barricades, and many more! Many, Many other new buildable objects. Try it and see for yourself! The vast majority of objects have proper icon scaling and balanced recipes, and those that don't will be getting it soon! Homemaker overhauls the vanilla category system to make it much more efficient and easy to use. However, it keeps the vanilla categories intact, so mods that add things to only the vanilla categories should all remain compatible. See the Compatibility section below for any other compatibility related concerns. All of the new Homemaker build sets are store in the Structures tab under Structures/Homemaker, to keep these changes simple. 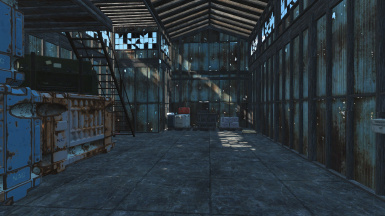 The new fences are stored in new tabs under the fences category, and the miscellaneous build tab was split into shipping containers, raider and super mutant items, and the default misc category. The Vanilla shacks and door categories remain unchanged, categorically speaking. The Furniture category received the most changes. Chairs, Containers and Tables have been broken up into more manageable categories. 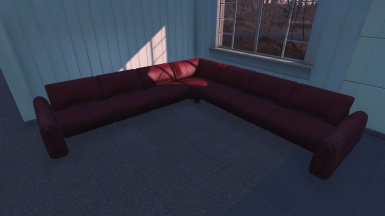 "Chairs" has been turned into "Seats", and separated into Benches, Couches, Chairs and Stools. "Tables" is now "Surfaces" and broken into End Tables, Coffee Tables and Dining Tables, Counters and Cabinets, and Misc. Surfaces. 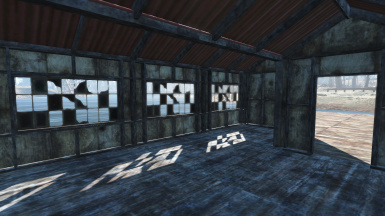 Containers have been broken into Supplies, Home, Office and Misc, with Supplies being the category full of containers most players tend to store their stuff in. In addition, the container objects that were once stored in Decorative/Misc section have been moved to the containers group, mostly in the Misc section. 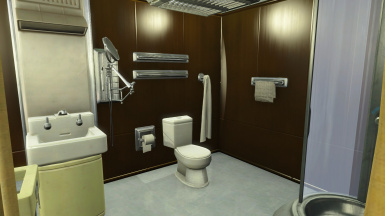 In addition, a "Fixtures" category was added that contains many larger decorative household objects that don't quite fit as decoration, namely things like bathtubs, showers, sinks, etc. Decorative objects sees the addition of the vehicles and landscaping categories, each with sub-categories for each family of object contained with in (cars, living and dead trees, rocks, shrubs etc). Floor coverings was broken into Large floor coverings, small floor coverings, and Paths, containing the new foot path objects. Miscellaneous was broken into Exterior, Interior, and Misc., and is now used mostly to house clutter objects like playground equipment, file boxes, etc. In addition, potted plants were given their own category under the Miscellaneous section and will show up when you find the appropriate perk magazine. 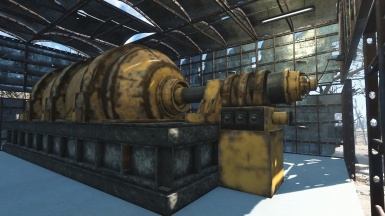 1.21 also sees the addition of Warehouse Objects, for things like pallets, crates, handcarts, etc, and Electronics, for the new Institute monitors and other computer-like items. The rest of the categories were more or less untouched, with the exception of Lights, which were split into Ceiling Lights, Floor and Table Lights, Wall Lights and Misc Lights. If you have a mod that adds a recipe to one of the categories on the left, it will show up in the corresponding category on the right. If you are using 1.50 or greater look in the original vanilla category. Three Build Set Disablers - Disable bunkers, greenhouses or both. Use only one esp at a time. Unlocked Institute Items - use if you want to have institute items unlock before completing Institutionalized. The three separate patches make no edits to each other so they are fully compatible to be used together. For versions 1.50 higher you will have a Bethesda archive or BA2 file. Loose files are not included. The rest is historical information. When updating to 1.2 from 1.12+, just ensure the meshes folder is added to your Fallout 4\Data folder, and overwrite the ESM and the Meshes folder. Remove all items you have in any Homemaker container and store them somewhere safe. Exit and de-activate Homemaker.esp using the mod manager of your choice. Re-open the save you made last and select yes to continue loading. Save your game again. For versions 1.50 higher there should be no incompatibilities with anything because there is now a single menu added with a script. The following information is simply historical information left here as a reference. 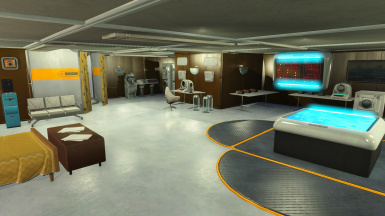 Homemaker should be compatible with all mods that don't touch the workshop crafting system. It is incompatible with mods that alter the vanilla crafting system, namely those that add or remove categories from the vanilla records it adds. A patch that ports the mod to Settlement Keywords Expanded is included with SKE. Compatibility patches with mods that add custom categories are very easy to make. 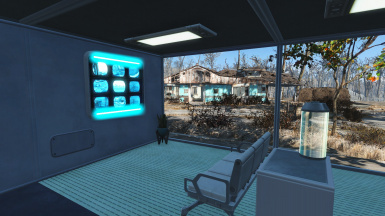 All you have to do is open up FO4Edit and load the mods you want to make a patch for, look at the red-highlighted conflicting vanilla formlists (beginning with WorkshopMenu), and copy the conflicting lists as an override from the mod you want to have higher on your load order first (in this case, usually Homemaker) into a new ESP. After that, just select the formlist that you copied over to your new patch and look at the highlighted records on the right. Drag and drop all the records from the mod you want to make compatible to your patch, so that the final version has all the records from both mods in its list (you may have to add list entries). After that, save, test and your ready to play! Note, I will not be offering support on any patches not made by myself, but if you have any questions about the process, feel free to pm me. As of 1.32 and up until 1.41, this mod will no longer offer support for SSEx. I apologize for the inconvenience. This obviously doesn't apply to 1.50 or higher. 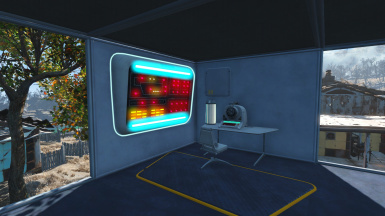 The Institute monitors (with the CCTV Screens) in the Decorative/Misc/Electronics section will flash rapidly upon selection. People who are sensitive to sudden flashing lights should avoid these objects for now; luckily they are at the end of the section. Any items the CK allows to have a Navmesh, has one. If an item cannot have a navmesh then it requires a collision mesh and those are not added. 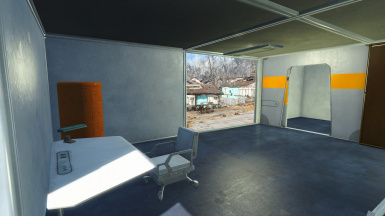 The Institute Consoles and Wall monitor have issues with clipping through walls due to their size, and will jut out the back. 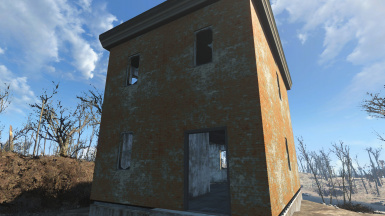 This is only cosmetic, and is not entirely aesthetically unpleasing (see my exterior house screenshot for an example). In addition, the larger wall mounted consoles tend to move right up to the front of the camera when they are placed, so when placing them try and get as close to the wall as possible. I've found placing them once and then picking them back up makes them slightly less spastic. For generators, wires do not tend to neatly attach themselves to the connect points, but this is due to them not having those fancy mini transformer towers the vanilla meshes have. They will come in time. Many of the smaller lights (desk lights, table lights) are movable static objects, and will fall over if you bump them. This sounds nice, but the workshop placement engine is not capable of righting them again, and they are unable to be picked back up once knocked over by holding "e". I found a potential fix which allows them to be picked up and carried at the expense of being unscrappable. I will keep trying to get find an ideal fix for this issue. Some of the lights models are permanently set to look either "off" or "on", or will vary between the two seemingly at random. This is an issue with how Bethesda decided to categorize light models, and should be fixable with the GECK. In the meantime, I was able to fix things by saving and reloading. 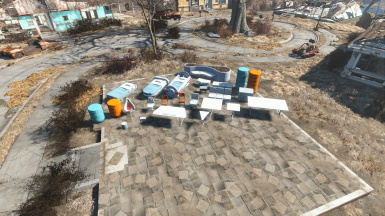 Crashing when selecting a category - usually this happens on the Institute structures category, but can happen anywhere objects with altered models are stored. It is typically caused by a missing mesh, which either means your INI isn't set up properly, or the folders didn't copy over correctly. See this link for more instructions on how to set up your INI file. If that doesn't fix the issue, try re-copying the meshes folder from the Homemaker zip file into your Fallout 4\Data folder, and overwrite when prompted. Also try reinstalling the mod in NMM if you used that to install. INI in Data folder - It has been reported that some people have been having an INI in their data folder with the latest patch that is causing crashes with the mod. If you are experiencing crashes and find you have one, try renaming or moving it out of the folder and see if that helps fix your crashes. Missing categories - If categories are missing, that means you are using a mod that is overwriting the categories added by this mod, such as SSEx or OCDecorator. If you do use a mod like this, make sure to look for any compatibility patches for them if they are offered. Ensure that the patches are loaded later then the mods that they are patching, and make sure to check to make sure that two patches don't conflict with each other either. If two mods or patches do conflict and the mod author doesn't offer a fix, then check my compatibility section for a quick rundown of how to do custom patches in FO4Edit. Missing Institute items - Unless coupled with the missing categories issue, this is not necessarily a bug, more of a misunderstanding. The Institute items and build sets only unlock while you are a member of the Institute, and you will lose access if you are no longer a member of the faction. 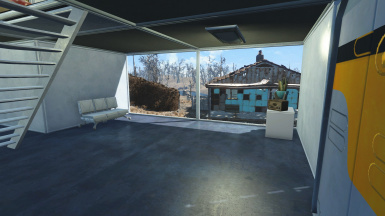 To gain access to the items without being a member, use the Unlocked Institute Objects patch in the files section, or type "player.addtofaction 5E558 1" (no quotes) in the console (~) to add yourself to the Institute faction. Type "player.removefromfaction 5E558" to remove yourself from it when done. Crashes/Glitches after upgrading from ESP version (1.11) to ESM - This is a problem inherent with the use of TESVSnip utilities, as they have issues with causing save game corruption. Unfortunately, when upgrading from the ESP to the ESM, it can make any previously present corruption worse and cause all sorts of issues, ranging from minor visual glitches to full CTD's. There is not much that can be done to fix saves that have been corrupted in this manner, so unfortunately I would either recommend starting a new game with the ESM version or continuing to play with an old version of hte mod until you're ready to start a new save. Mod Organizer - It has been reported that the current version of Mod Organizer has problems loading meshes properly, which can cause CTD's. I have not verified this as I do not use this utility, but if you do and are experiencing crashes, try switching to another tool like NMM and see if it alleviates it for you. Thanks to everyone who helped translate the mod so far! Some versions may be out of date, and I have not had a chance to inspect each one, so use at your own risk! A more complete changelog is available in the changelog section of the nexus page. V1.55.1 Added Hotfix to Bethesda Archive since nobody was downloading the Hotfix. No content changes. V1.54 Removed chems for changing settings. Added Homemaker Holotape. If upgrading, craft one at a chem station. V1.53 "The Other Version" that has some items removed is now an optional download. V1.52.2 Streetlights Use Passive Power will now install for both versions again. V1.52 Added Multi Menu support. Craft in game chem for Multi Menu support to add menus throughout the vanilla menus instead of one single menu. V1.51 Renamed menu to Power so people can more easily find Lights and Generators. Removed confusing Navemesh descriptions. V1.50 Removes some duplicate items. Homemaker now has separate scripted menu. Be sure to use uninstall chem prior to uninstalling. V1.41 Adds navmeshing by Ethreon and updated meshes by ccmads. For details on the changes see the ccmads changelog.txt provided with the download. V1.40 Retains menu structure from previous versions in addition to changes from 1.38. Only compatible with Fallout 4 1.7.9. V1.39 Retains menu structure from previous versions in addition to changes from 1.37. 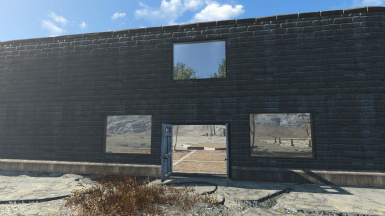 V1.38 This is preemptive update for Nuka-World as to prevent (hopefully) the need for another patch. Only compatible with Fallout 4 1.7.9. V1.37 Adds lights menu Fix. Does not contain other improvements. 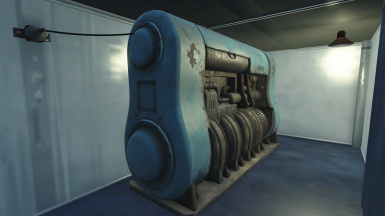 V1.36 This is a quickfix for the Vault-Tec DLC and does not contain other improvements. 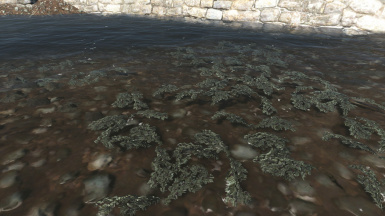 V1.35 Fix for Far Harbor. Does not contain other improvements. V1.34 Small fix for compatibility for WW. Avoid using SK v0.8 by Stuyk due to menu loss!! Does not contain other improvements. V1.33 - Bugfixes, fixed wonky meshes, added retaining wall set. Full changelog here. V1.32 - Polish update, adds snapoints to many fences, redoes some build sets. Full Changelog available here. V1.23 - Fixes for multi-story walls, fixes for snap-points on covenant fences, more statues, additions to missing objects. V1.2 - Massive content expansion, new institute build set added, category overhaul, 100's of new objects added. Navmesh bug fixed for Covenant Gate and a few other items. V1.13 - Minor recipe and item fixes, added missing changing table, vanilla disabled raider tents and new wood barrel container. 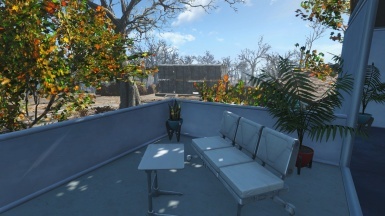 Made mod-added desks act as surfaces. 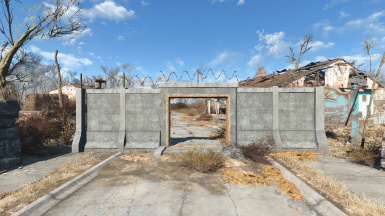 V1.12 - Re-coded entire plugin using FO4Edit only, added BoS Barriers and custom categories for new fences, fixed icon scaling for most items and rebalanced the majority of the recipes. 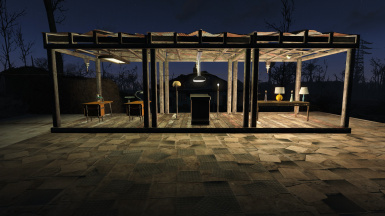 V1.11 - Small Bugfixes and tweaks, added missing bed and rebalanced streetlight recipe. DD3Productions for helping with category ideas and allowing me to port one of his meshes for the glass floor.